The beautiful Kruger National Park is home to all kinds of little critters. One of the cuter creatures you will find in the Park is the tree Squirrel. There is no guarantee that you will encounter this little guy when on a Kruger Park safari, but if you keep your eyes peeled, especially when in a rest camp enjoying a meal, you might just spot one. The Kruger National Park is home to the Tree Squirrel, which is also known as Smith’s Bush Squirrel. This squirrel is all of 35 cm long and half of that length is just his tail! They weigh about 200 grams and their colour varies throughout the region, from pale grey to brown with either white or a yellowish colour on the chest and they generally have white underbellies. Squirrels are very alert and forever busy. 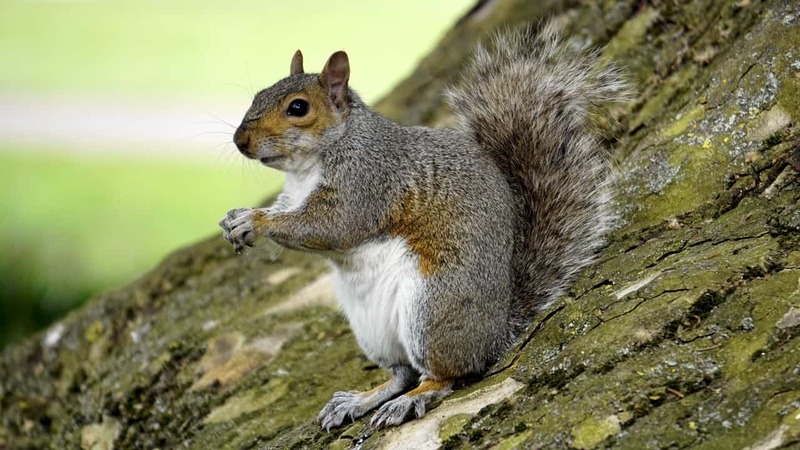 Squirrels mostly eat plants, but being of the rodent family they are known to eat insects too. Tree Squirrels like most squirrel species, hoard food for the winter. In order to do this, they first bite open the nut or seed, then they lick or rub it against themselves in order to put their scent on it before burying it. Their burying of seeds aids the regeneration of trees, as often their buried food gets left there and when the rains come, new sprouts will appear out of the squirrels “Pantry”. Squirrels spend most of their time on the ground foraging but do take to the trees at night or when they are disturbed. At bedtime, squirrels nest together in family groups in holes in trees. Squirrels often prefer Mopani trees as they have natural hollows in their branches. The Tree Squirrels front legs are shorter than their hind legs. Although they have soft pads under their feet, they have claws on their toes to equip them when climbing trees. Typical of rodents, their incisors are large and chisel-like, top and bottom, which keep growing throughout their lives, and they have flattish molars for chewing food. Socially, squirrels love to groom each other and by doing this they share a common scent among their family. The male squirrel is mostly in charge of defence although the female will chase any intruders if she is caring for dependent pups. Squirrels become sexually mature when they are 6 – 9 months old and when pups reach this age they are usually chased from the parent’s nest. Kruger’s squirrels court each other in August and give birth after just 56 days, normally having between 1-3 pups. Although baby squirrels are weaned at six weeks, they are able to leave the nest and feed on their own at the tender age of 19 days. Tree squirrels have a peculiar defence practice when under threat known as “mobbing”. The idea behind this behaviour is to scare off predators. They do this by all the members of the group gathering together and lifting their tails then slowly moving in closer to the threat. This is done in an attempt to make them look bigger. Although this method is successful in many cases there are times when it has no effect on the predator and the squirrels need to high tail it up a tree, where they flatten themselves against a branch and lie there motionless till the threat has left the area. You can see Tree Squirrels and many other interesting creatures when you go on a private Kruger Park safari. Book yours today!